Win Antispyware Center is a rogue antispyware program that looks like a previously published rogue called XP Internet Security 2010. 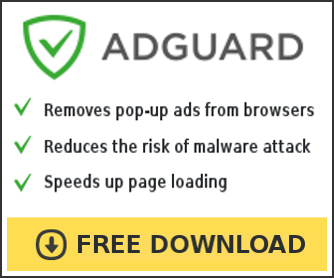 Like other rogue antispyware programs, the rogue detects false infections and shows fake security alerts in order to trick you into buying the software. Win Antispyware Center is distributed through trojans that come from various misleading websites that ask users to download a software that pretend to be flash player updates or even video codecs required to watch a video online. When the trojan is started, it will download and install the rogue antispyware tool onto your computer without your permission and knowledge. During installation, Win Antispyware Center will register itself in the Windows registry to run automatically every time when you start an application (files with “exe” extension). The rogue also uses this method of running to block any programs, including antivirus and antispyware tools, from running. Once running, Win Antispyware Center will start a system scan of your computer and report a variety of infections (trojans, worms, backdoors, viruses) that can not be removed unless you pay for a paid version of the software. Of course, the scan results is a fake, because the program is unable to detect or remove any infections. Thus you can safely ignore all that Win Antispyware Center will display you. attack. Spy software attack or virus infection possible. Prevent further damage or your private data will get stolen. Run an anti-spyware scan now. Click here to start. data loss or stealing by running a free security scan. However, all of these alerts are fake and supposed to scare you into thinking your computer is infected with spyware, malware and viruses. You should ignore all of them! As you can see, Win Antispyware Center is designed with one purpose to scare you into thinking that your computer in danger as method to trick you into purchasing the full version of the program. If your computer is infected with this malware, then most importantly, do not purchase it! Uninstall the rogue from your computer as soon as possible. Use the removal guide below to remove Win Antispyware Center from your computer for free. If you can`t create fix.reg, then download fix1.zip from here, unzip it. Double Click fix.reg and click YES for confirm. Right click to fix.inf and select Install. If you can`t create fix.inf, then download fix1.zip from here, unzip it. Right click fix.inf and select Install. Step 2. Remove Win Antispyware Center associated malware. If you can not run Internet Explorer and download Malwarebytes Anti-malware, then Click Start, Run, type regedit and press Enter. Registry editor opens. Navigate in the left panel to HKEY_LOCAL_MACHINE \ SOFTWARE \ Clients \ StartMenuInternet \ IEXPLORE.EXE \ shell \ open \ command. In the right part of window click twice to “@”. You will see a screen with the contents like below: “C:\Documents and Settings\user\Local Settings\Application Data\av.exe” /START “C:\Program Files\Internet Explorer\iexplore.exe”. Remove left part, leave only “C:\Program Files\Internet Explorer\iexplore.exe”. Click OK and close registry editor. Try run Internet Explorer once again. Make sure the “Perform quick scan” option is selected and then click on the Scan button to start scanning your computer for Win Antispyware Center infection. This procedure can take some time, so please be patient. Make sure all entries have a checkmark at their far left and click “Remove Selected” button to remove Win Antispyware Center. MalwareBytes Anti-malware will now remove all of associated Win Antispyware Center files and registry keys and add them to the programs’ quarantine. When MalwareBytes Anti-malware has finished removing the infection, a log will open in Notepad and you may be prompted to Restart.